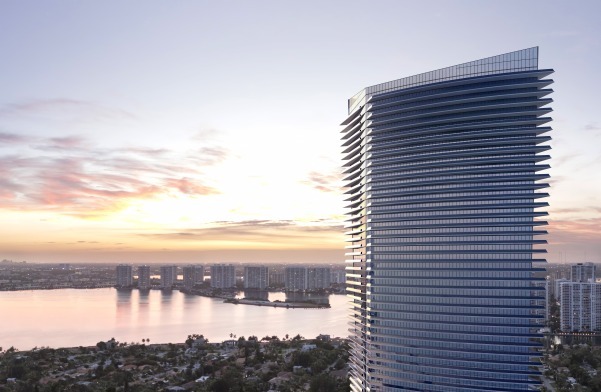 Residences by Armani/Casa, the brand’s first residential development in the United States, has recently announced that they are beginning pre-construction sales on their soon-to-arrive Miami property. Dezer Development and the Related Group are hauling out the heavy equipment for the Residences by Armani/Casa, as site work on the Sunny Isles Beach condominium project is set to begin shortly. The 60-story, 307-residence oceanfront tower in Sunny Isles Beach is being designed by the world famous César Pelli, creator of the Petronas Towers in Malaysia and Adrienne Arsht Center in Miami. It’s a long way from opening, as the residences are estimated to be available first quarter of 2018. However, sales of the units, which range from 1,350 to 3,750 square feet with prices ranging from $1.3 million to over $5 million, have been strong, with more than 84% sold already. “We are extremely pleased to bring the internationally-celebrated talents of César Pelli and Giorgio Armani to Sunny Isles Beach, further defining the city as one of the world’s leading addresses for elegant living and sophisticated design,” Jorge M. Pérez, CEO of the Related Group, said in a news release.